Everyone here at Wheeling Auto Center recognizes that our shop would be nothing without the support of our local communities. That’s why we’re all proud to give back to various charitable organizations and efforts happening in the Chicagoland area. Click the tabs below to learn more about everything we’re doing in the community. 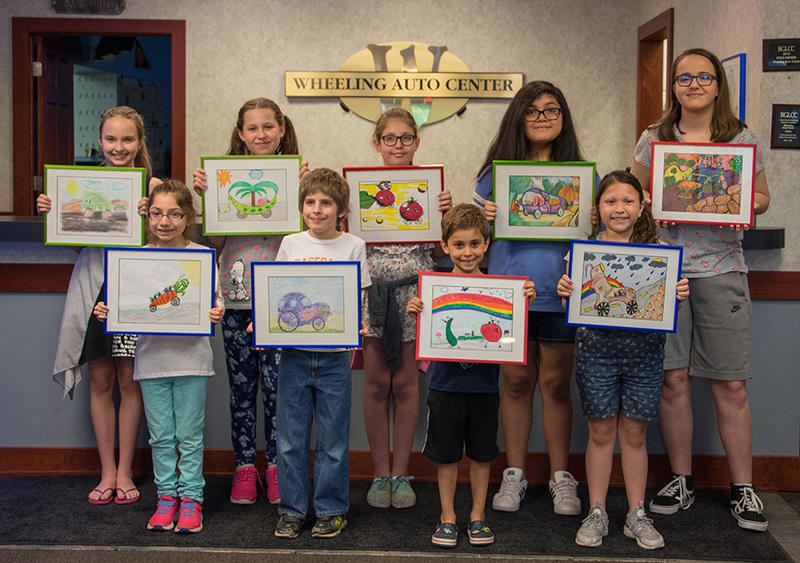 For the last 14 years, Wheeling Auto Center has hosted an art contest for students through local schools. We supply a car-related theme, and kids bring it to life with wonderfully creative drawings. Winning submissions are professionally framed and displayed in our lobby for one year. In 2018, the theme was Lettuce See What a Car Made of Vegetables Would Look Like! —we received a whopping 301 entries! Winners received $100, a $100 prize Best in Show prize, and $50 prize to all Honorable Mentions. Past themes have included What Would a Monster Drive?, Cars From Your Favorite Sport, Musical Cars, Cars That Are Good Enough to Eat, Circus Cars, If Animals Could Drive … What Would They Drive?, My Dream Car, Vehicles From Other Planets, Cars of the Past and Cars & Trucks of the Future. For many years, Wheeling Auto Center has actively supported the National Multiple Sclerosis Society. To date, we have proudly donated $5,360 to the Greater Illinois Chapter of this organization, which helps fund cutting-edge research, programs and services for people with MS and their families. Since 2009, we’ve donated $5 from every June oil change. Starting in 2012, we’re also thanking participants with Illinois Mission Move Lottery tickets. These $3 instant-win tickets have raised nearly $4 million for the National MS Society. Our contributions are given through the Tour de Farms Ride, a two-day annual fundraiser that offers cyclists 15-200 mile options through rolling northern Illinois farmland. If you’d like to lend your support directly, contact The Greater Illinois Chapter of the National MS Society.